It’s simple…we are the best; we set the standard that others try to emulate. We don’t just offer a ‘result’ we will look after you on the journey, providing you with customer service that goes above and beyond industry standard. Our intention is for every client to experience unsurpassed service excellence, without exception. We will focus on developing business relationships with our clients for life, not just for the moment. 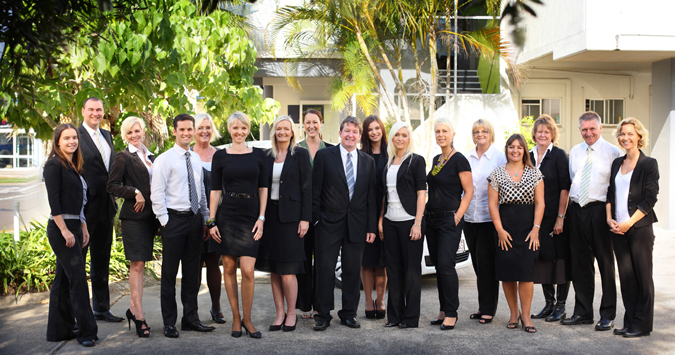 We will strive to offer professional, personalised service, delivered with honesty and integrity to achieve the best outcome possible for clients, so that our brand continues to be synonymous with success and becomes the leading property company on the Sunshine Coast. We promise to provide our employees with a culture that is personalised, a place where people will want to work and consider their peers as their teammates, friends or sometimes a second family. Every employee will be provided the opportunity for personal growth and the scope to show initiative and independence in their roles, to be valued, heard and rewarded. Thanks for that. I think you guys were the best agent of the three I had and it is a shame I did not know about your agency to pick you first. (I only found out about Amber Werchon by recommendation by an agent down here in Brisbane.) I will definitely know to come to you first when I try again. I would very much like it if you kept in touch and let me know how the market is going up there from time to time. I appreciate and like your balanced, level headed approach where you have always found time to email me. I would like to congratulate you and thank you sincerely for the time, effort and most importantly the manner in which you have kept me informed. I just wanted to write to you on behalf of my wife and I in regards to the great experience we had with selling our property through Rex and Amber Werchon Property. It is not often you meet people with genuine credibility in which Rex helped us through not only selling but buying our new property as well, which is more than we can say about our experience with a different agency. I believe this professionalism reflects on how your business is operated and run by your team and we just wanted to let you know as it is not often you get great feedback. … What another agent could not do in months you did in a matter of about 2 weeks. Also you are a very pleasant young lady to deal with. To all property sellers and buyers! Pete is the most “real” real estate agent we have ever had the pleasure in dealing with. The sale of our house went along so smoothly and was completely stress-free thanks to this guy! Always there to chat, consistently following up leads, keeping us in the loop, & negotiated in such a professional & personable way that made us all feel comfortable! We’re so glad we met you! Thanks again for everything! From our first contact with the office staff at Amber Werchon we knew we had made the right choice in finding someone to help us sell our much loved home. From the initial meeting to the open houses, auction process and everything in between Jared has always been there to help and support. He was always on time and if running a little late he would always let us know. He has worked hard to get us the best result possible.